Rolling Stones fly to HNL. FT: 4:05 TT:33259:37. Owner shown as Transnational Cargo. FT: 10:25. Cargo was loaded at LGB. 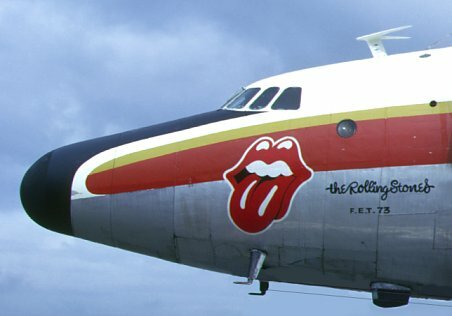 Rolling Stones depart LAX for SYD by airline. Rolling Stones hold press conference in SYD. Group travelled on Ansett F.27 VH-FNO. Rolling Stones depart SYD for various destinations. Special thanks to Peter Marson, a world authority on Constellation and Super Constellation histories. Much of the information on this page was extracted from the log books of N7777G which survive with the aeroplane in the Science Museum at Wroughton, UK. This information was extracted by Peter Marson.